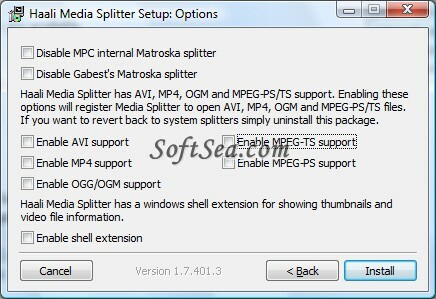 This is a screenshot for the software Haali Media Splitter. This software supports decoding of Matroska (. MKV), OGM (. Ogm), OGG (. Ogg), AVI (.